Housed in a sleek black pen, this liquid eyeliner from Kat Von D is equipped with a special dagger-inspired brush applicator. Cut at 30°, the small blade-shaped tip is designed to easily create straight lines and precise wings. It took a couple of tries to get used to the design but the dagger tip is actually really easy to use! With the pointed end facing towards my inner corner and the brush tip flush against my lid, the liner glides smoothly across my lashline, creating nice, precise lines with no pulling or tugging. 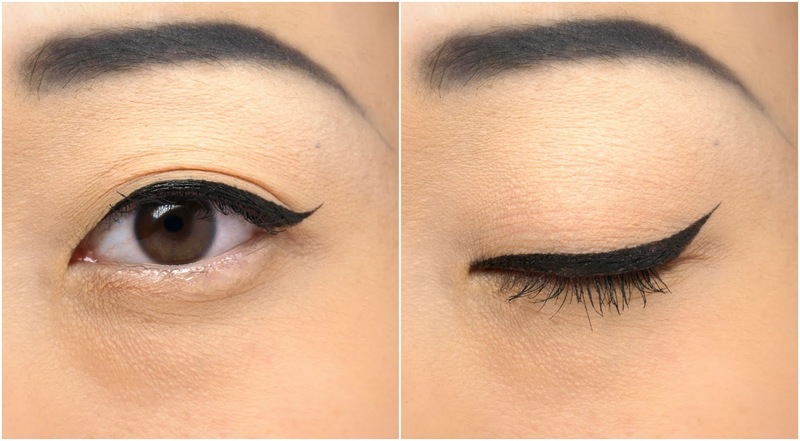 For the wing, I hold the liner at an angle so the thin, tapered tip faces perpendicular to my skin. It creates a sharp, straight line which I use as the guide for the wing. Overall, I'm pleasantly surprised with this brush applicator. I honestly thought that the tapered tip of the original Tattoo Liner was the be-all end-all and any attempt to improve would be futile (cough cough, MAC Rollerwheel Liquid Eyeliner). 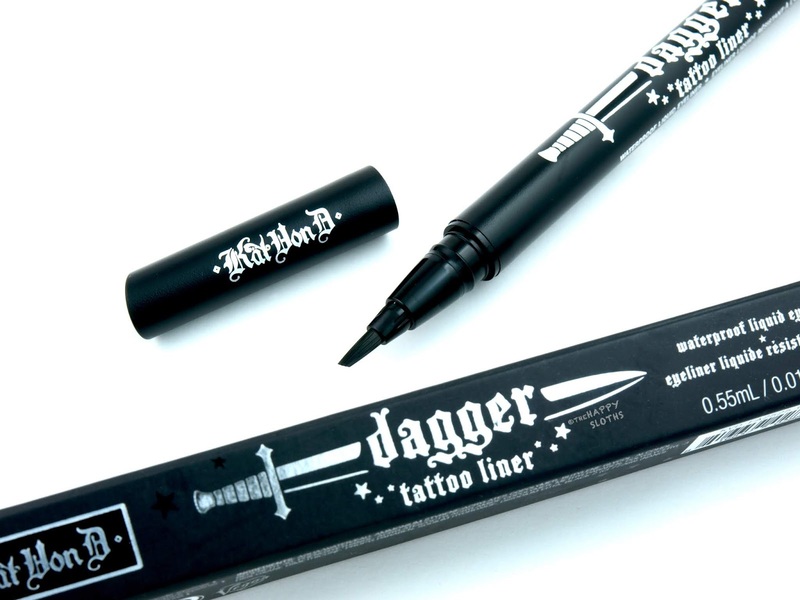 However, Kat Von D has outdone herself with the Dagger Tattoo Liner, which truly makes application easier than ever! 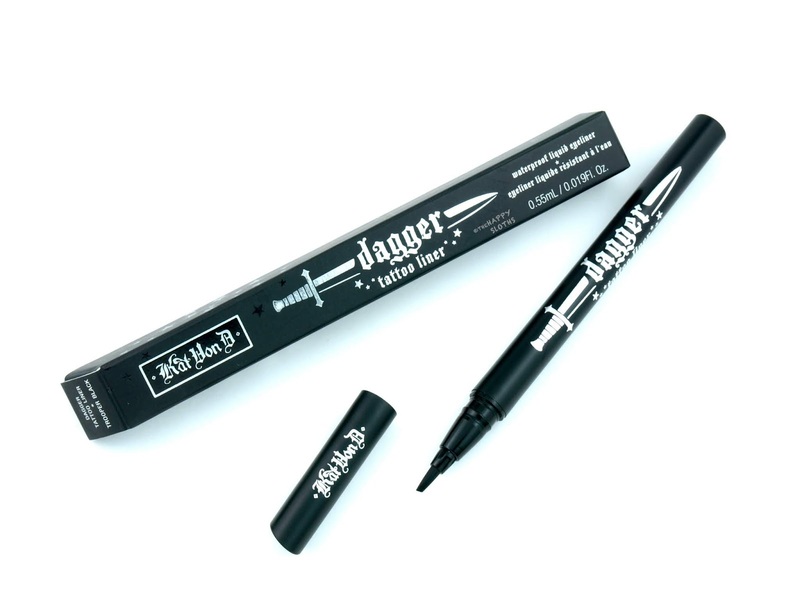 Despite the new applicator, the Dagger Tattoo Liner has the same formulation as the original Tattoo Liner. 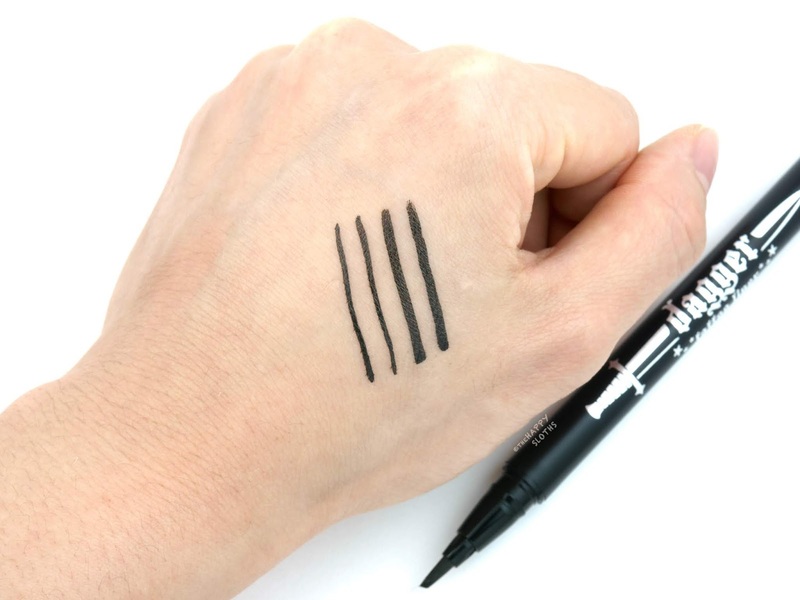 Although long-lasting and completely smudge-proof, the Tattoo Liner formulation isn't without its flaws. Having tried the likes of Lancome Grandiose Bendable Liner (reviewed here) and It Cosmetics Superhero Liner (reviewed here), the Tattoo Liner just isn't black and pigmented enough. Despite a smooth and inky application, the formulation has the tendency to shrivel and lighten as it dries, leaving behind visible thin patches that require several layers of application to camouflage. For the eye swatches below, I had to use at least five layers to ensure a mostly solid line. 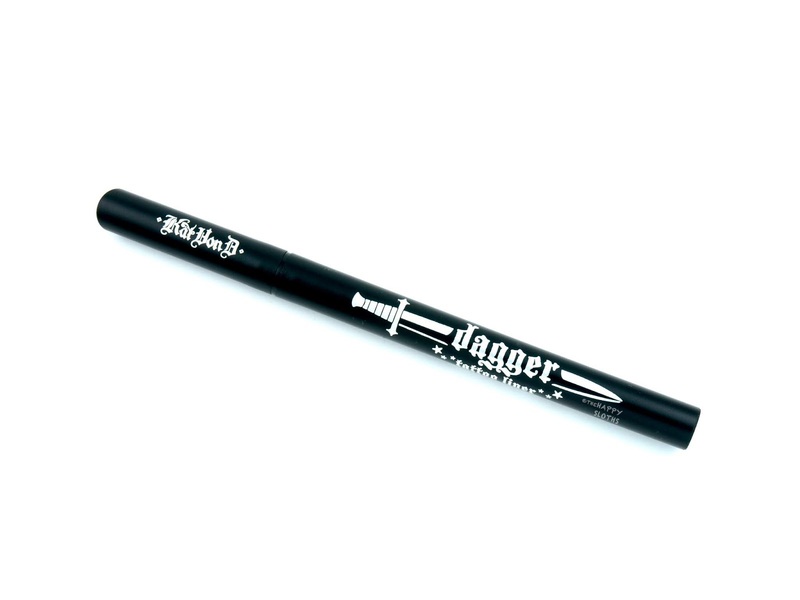 Kat Von D | Dagger Tattoo Liner in "Trooper Black"
Overall, this is a good liquid eyeliner. The applicator is innovative and amazingly easy to use but the formulation is not as pigmented as I expect given how many new competitors are now on the market. 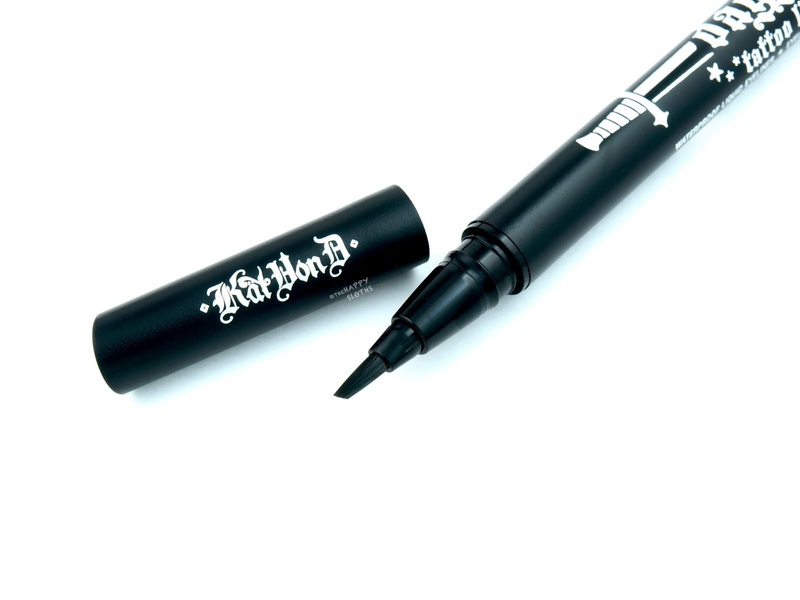 I'd love to see a formulation update from Kat Von D but if you've always struggled with liquid eyeliner application, then definitely give this one a try!